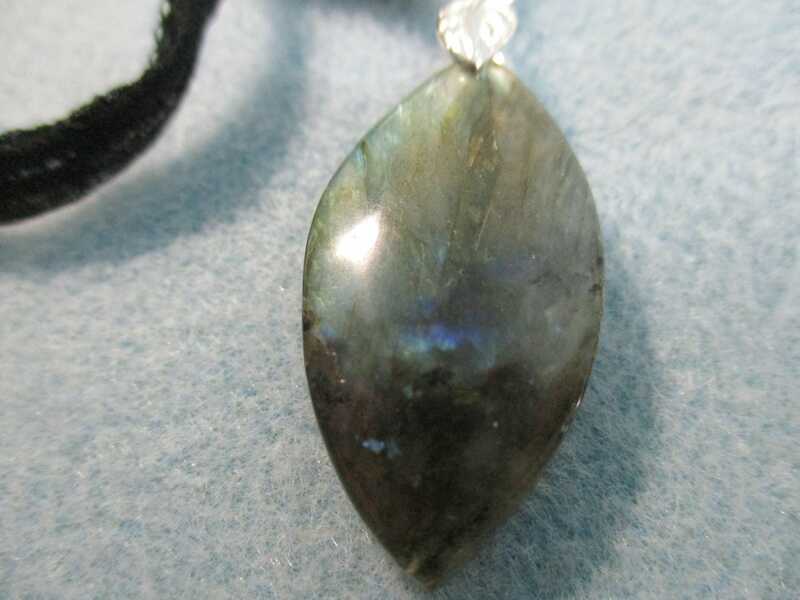 I love the way this stone changes colors as you move. 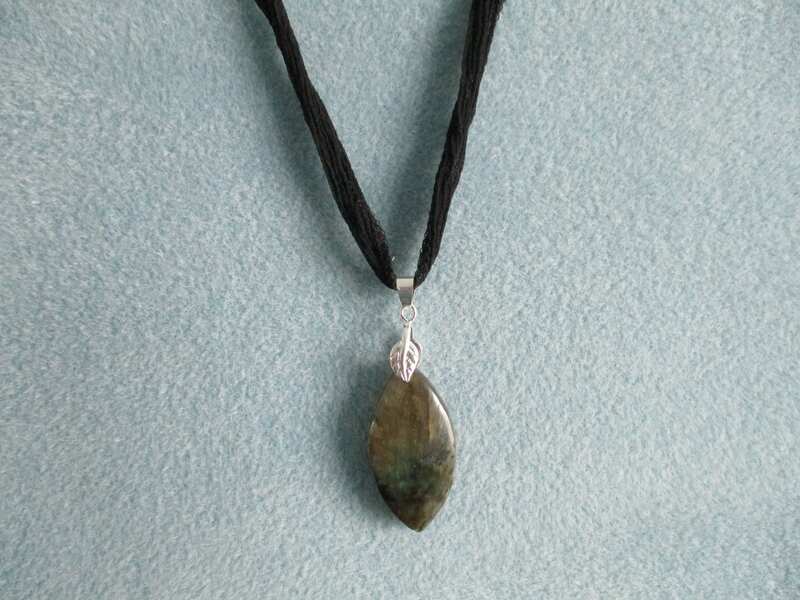 This necklace is 17" (43cm) long and has an additional 2" (5cm) extension. 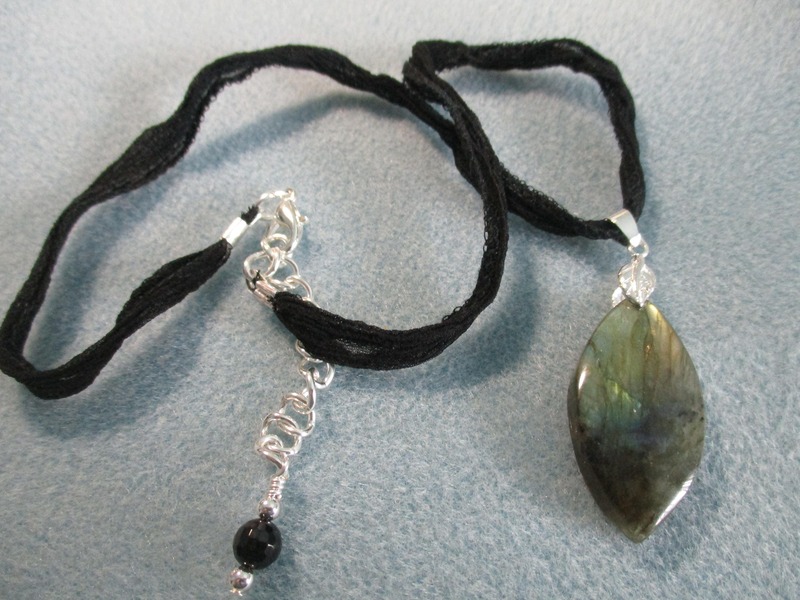 It Includes a 19mm x 35mm (3/4" x 1 1/4") labradorite pendant and black silk ribbon. Clasp, bail and chain are silver plated.